HOLA Visual Arts hosted an opening reception on Friday, March 8 to celebrate the newest student art show now on display at the HOLA Gallery, in the Royale building, throughout the year. 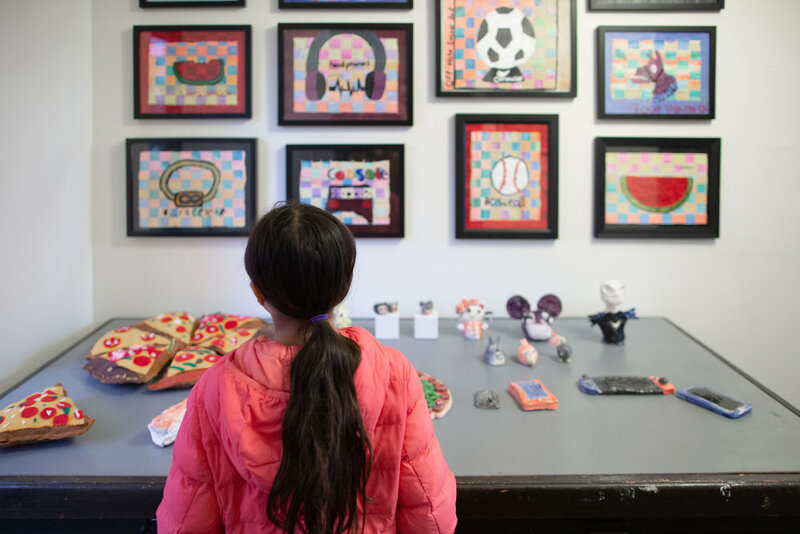 The mixed media exhibition entitled La Tiendita highlights everyday objects and popular culture from the Rampart/MacArthur Park neighborhood. Through conversations about marketing, mass consumption, identity, and the Pop Art movement, HOLA students explored different manifestations and representations of these themes. Inspired by Claes Oldenburg’s The Store (1961-64), La Tiendita showcases how supermarket foods, smartphones, toothbrushes and athletic shoes can become rich subjects for art. In collaboration with the France of Los Angeles (FLAX) Foundation, HOLA visual arts students worked with international artists, Stephanie Rollin and David Brognon on a performance piece titled, Follow Your Own Path. The students designed slogans printed on several arrows, which were spun at the corner of Rampart Street and Wilshire Boulevard, calling to better commitment towards the community. 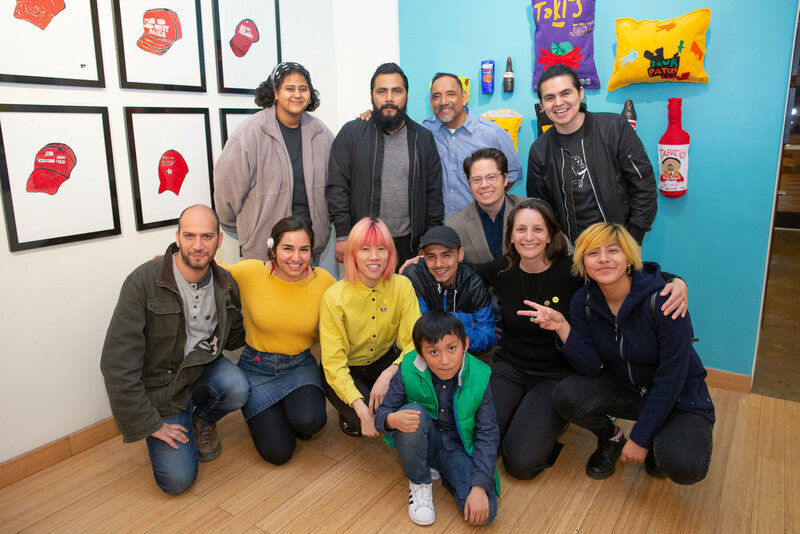 The event captured the interest of locals, but also of art lovers everywhere, with Hyperallergic, an online arts magazine based in Brooklyn, featured the artistic collaboration between the FLAX Foundation and HOLA visual arts students. Families, friends, and supporters mingle around the block for a lovely evening of art, music, and delicious food! With the support of the HOLA Visual Arts team, our students put on an amazing show highlighting the topics they feel strongly about, from Black Lives Matter to water conservation and transgender rights. Be sure to check out the article, our Flickr album, and art exhibit currently on display at HOLA!